With MackinVIA, sharing eBooks, audiobooks and all digital content between schools in a district or a consortium is one of the simplest and most economical ways to introduce digital content to a large number of students at an extremely affordable price. 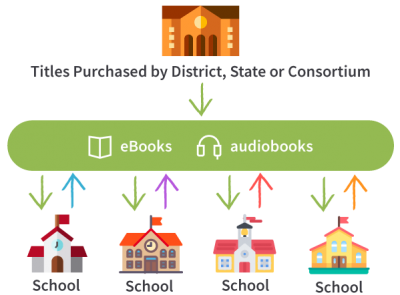 When a digital library is shared, it expands the bounds of what a single school can purchase, giving all participating schools easy access to the purchased content. What Are the Benefits of Starting a MackinVIA Shared Digital Collection? Access to MackinVIA Shared Digital Collections requires no annual fee! Request a free informational webinar on how to use Shared Digital Collections!